On the last Sunday of the month from 4-5:30pm we have a dinner that is open to all. Food is provided through generous donations and from support provided by our St Vincent DePaul Society. This is a wonderful way to help provide a meal for those who may be marginalized and needy in our community, and to come together in Christian fellowship. 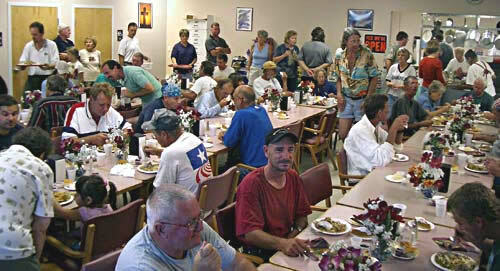 Individuals may assist in set up, food preparation, serving meals, and in the cleanup after the meal. You may also help by donating foodstuffs and beverages for the meals. All are welcome.